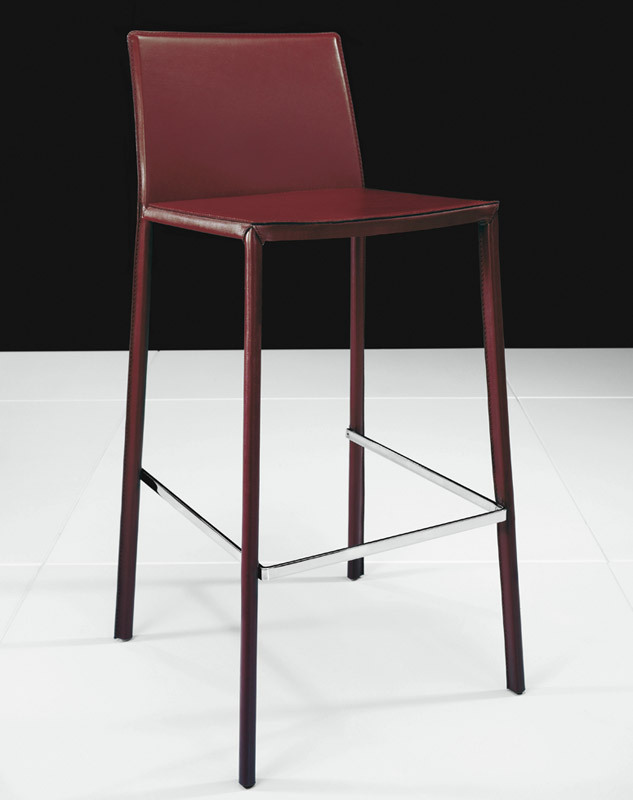 Slim, sleek lines and Italian accents give the Sanctuary Barstool and undeniably modern flare. 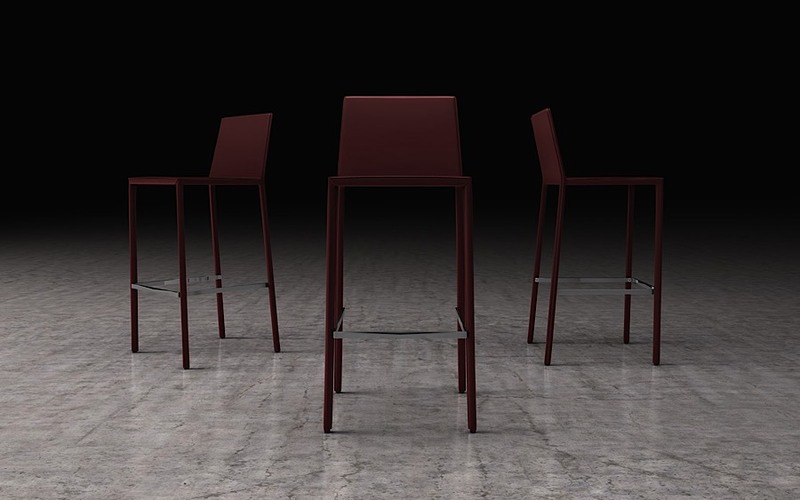 Designed with a steel frame, Sanctuary is clad in your choice of leather from top to bottom. 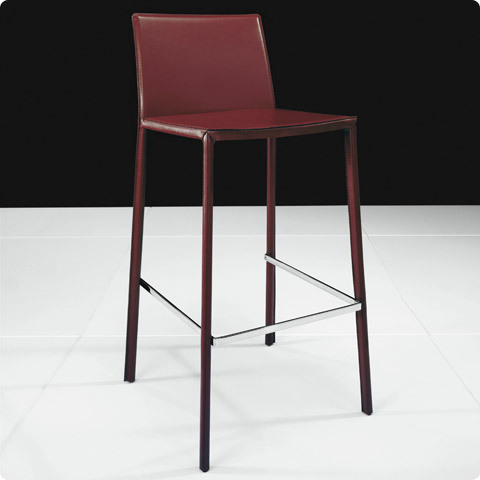 A stainless steel footrest completes the design, which blends simplicity and comfort, style and durability. 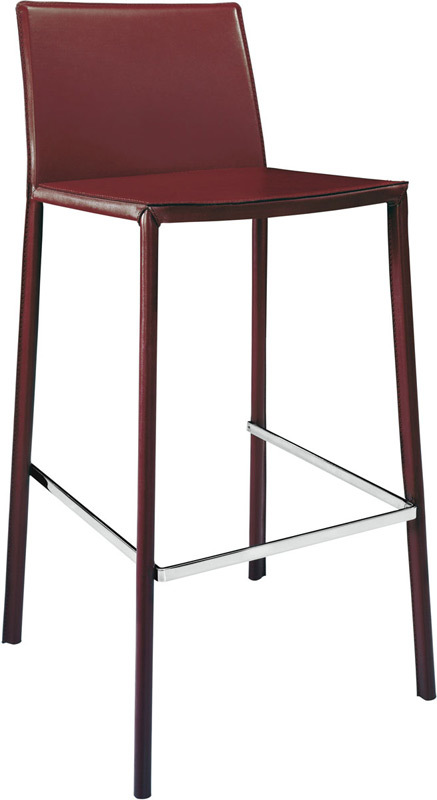 With a seat height of 30", the Sanctuary Barstool is ideal for bar tables or high top (42") kitchen islands. 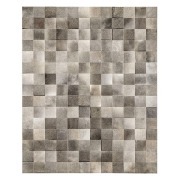 Simply choose the leather color that suits your home, and Italian modern style is just a few clicks away!